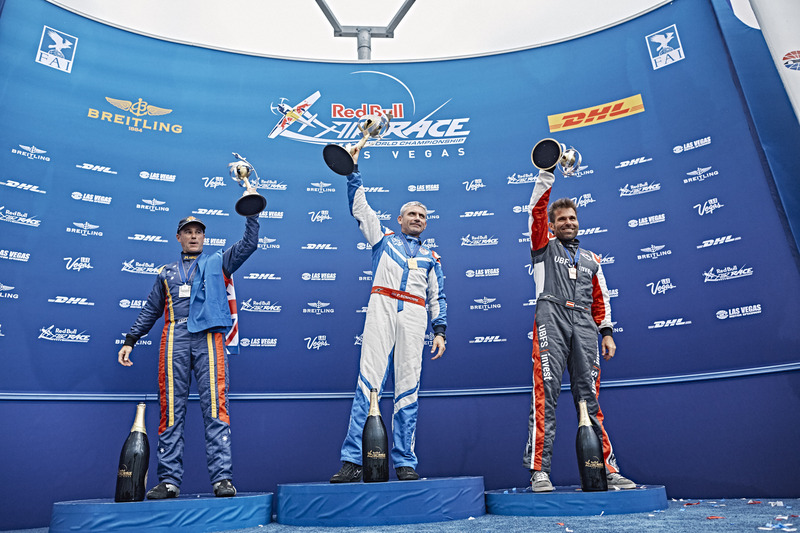 Paul Bonhomme was crowned the 2015 Red Bull Air Race World Champion on Sunday after finishing a close second place in the final race of the season at the Las Vegas Motor Speedway behind Matt Hall, staving off a thrilling challenge from the hard-charging Australian. Germany’s Matthias Dolderer took a strong third to win his second podium of the season. Around 20,000 spectators followed the racing action over the weekend. It was Bonhomme’s third championship, in his 10th season after the British ace won the title 2009 and 2010. Bonhomme, who had to overcome technical problems just before the final race, ended up with 76 world championship points, just five ahead of Hall on 71 with Austria’s Hannes Arch third overall with 34 points. Bonhomme, the sport’s most successful pilot with 19 career wins in 66 races, needed to finish at least sixth place to win the title. But the pressure was on just before flying into the track in a difficult head-to-head Round of 8 battle against Arch. 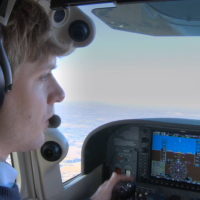 Bonhomme was suddenly forced to return to the race airport due to technical problems that could have cost him the championship if he could not fly against Arch. Bonhomme had earlier got caught in a sudden downpour of rain in the previous Round of 14 that had done more damage to his wing and technical equipment than first thought. But his crew quickly repaired the air and ground speed equipment and Bonhomme returned to the sky to beat Arch and advance to the final, where he was second behind Hall. Hungary’s Peter Besenyei, one of the most successful pilots in the history of the race with eight career victories, announced that he was retiring from the sport he helped create in 2003. Besenyei, 59, won the title in the inaugural season in 2003.